August 15, 2017, Philadelphia — Discovery Worldwide, a healthcare communications agency that combines the power of science, storytelling and innovative delivery to move health forward, announces the appointment of Stephanie Franke as VP, Creative Director. Franke reports directly to TJ Cimfel, Group VP Creative Director. Franke brings more than 20 years of experience in advertising and marketing to the creative team, where she is charged with elevating creative storytelling and innovative delivery of the agency’s offerings across advertising, advocacy and medical communications functions. Franke is known for developing strategic creative, applying behavior science techniques and connecting brands and causes to the customer through insightful storytelling. As VP, Creative Director at MARC USA, she spearheaded campaigns for Girls Inc., Trusted Choice Independent Insurance Agents, DePaul University, International Truck and STA-BIL Engine Additives. She previously served as VP, Creative Director at FCB for 10 years. With a heavy focus on CRM, promotions and digital, her accounts included MilkPEP, USPS, and SC Johnson. Franke developed promotional creative for MilkPEP’s iconic milk mustache campaign. Last year, Franke co-founded a non-profit organization, The Know No Project, which is a sexual consent awareness initiative led by an online and experiential guerilla campaign that went viral internationally with no media support. The campaign earned more than 19 million media impressions and 20 million social media impressions in just a few months’ time. With a strong story steeped in human experiences and strong creative, the campaign demonstrated the power of social media to compel people to take action. 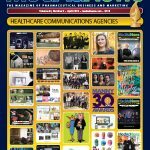 Discovery Worldwide is a healthcare marketing agency that unleashes the behavior changing power of science through creative storytelling and innovative delivery. With a staff of highly credentialed scientific gurus, deeply embedded strategists, and a powerful creative team, we blend deep scientific know-how, key customer insights and creative storytelling to elevate the clinical conversation. Everything we deliver is deeply rooted in the triggers that make us human, creating undeniable brand experiences that transcend channels and build trust and loyalty over time. Discovery Worldwide is part of Publicis Health, a division within Publicis Group S.A., the world’s third largest advertising and media company.